Hanover Police are actively investigating a burglary in a sorority house on campus that was reported on May 24, 2017. A timely warning was issued through email by Dartmouth Safety and Security (DSS) soon after receiving notification of the incident. Hanover Police requests assistance from anyone that may have information regarding this incident and asks them to call 603-643-2222. Callers may remain anonymous. This incident has created a heightened awareness of concern for individual safety and the safety of others within the Dartmouth community, as it should. Be advised that the Hanover Police take this case seriously and are working diligently to follow up on leads in the case. We are also providing extra patrols around campus and residence areas. The Dartmouth community has assisted us greatly by reporting suspicious activity since the incident and we encourage you to continue to do that. We are here to keep our community safe and are doing our best to solve crimes such as this. Use the personal safety app “LiveSafe” that Dartmouth has set up to communicate with DSS and others of your You also have the ability to call 911 from the app. Lastly, if you see something, say something. 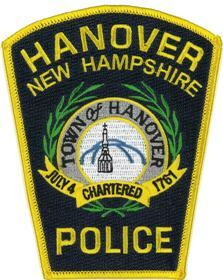 Call the Hanover Police if you see suspicious activity, behaviors, or people. Let us check it out and further ensure your safety and all members of our community.